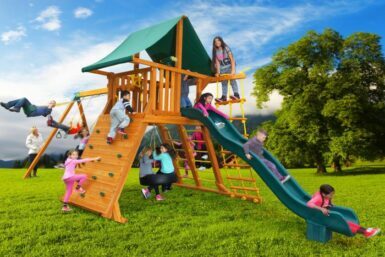 With a 6 ft. play deck accessed by the double ladder or rock climbing wall, 12 ft. wave slide, this swing set is ideal for medium size backyards. 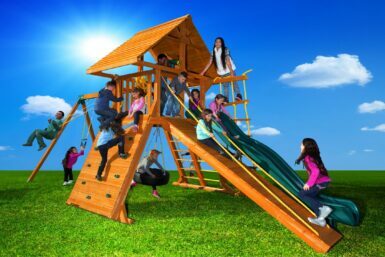 Your kids will love spinning 360 degrees on the tire and swinging from the huge 9′ swing beam. 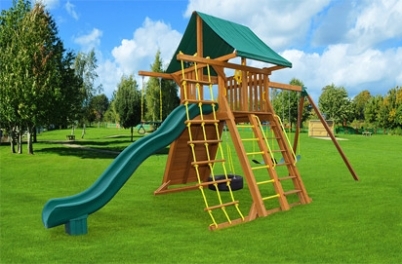 The Extreme Swing Set #2 features a fourth swinging position with an added Accessory Arm and Gym Ring/Trapeze Bar Combo, and an additional Sling Swing. 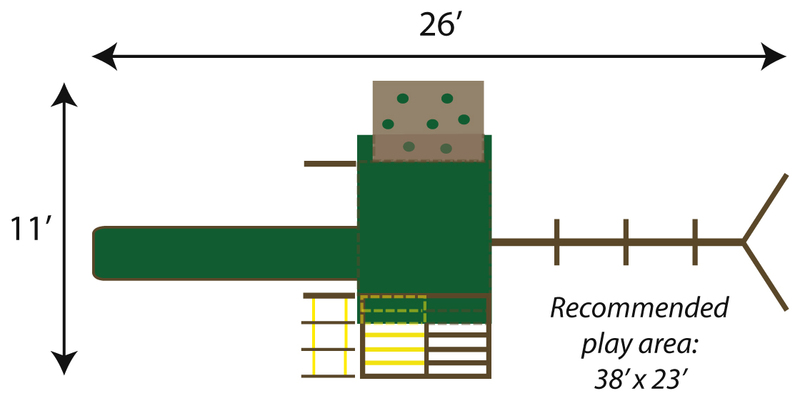 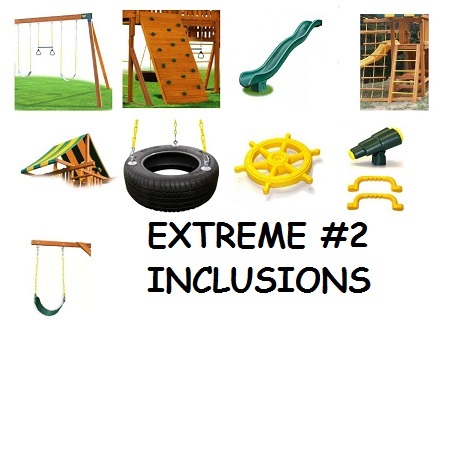 A flat area of land is recommended for all Extreme play sets.